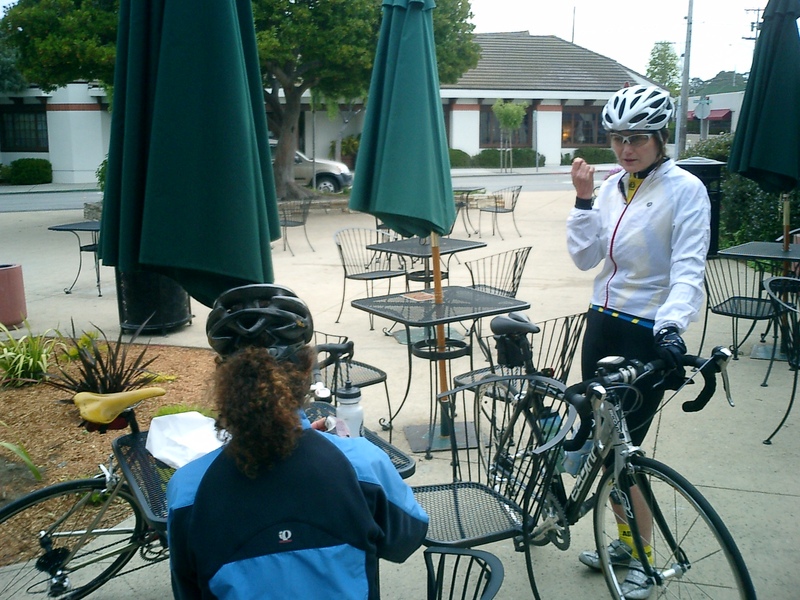 Breakfast of Champions: With a tough 110 miles of cycling planned for the day, an early morning donut stop in Monterey is mandatory. Crossing the Salinas Valley, a few drops of rain begin to fall. San Juan Grade: The day’s first climb. 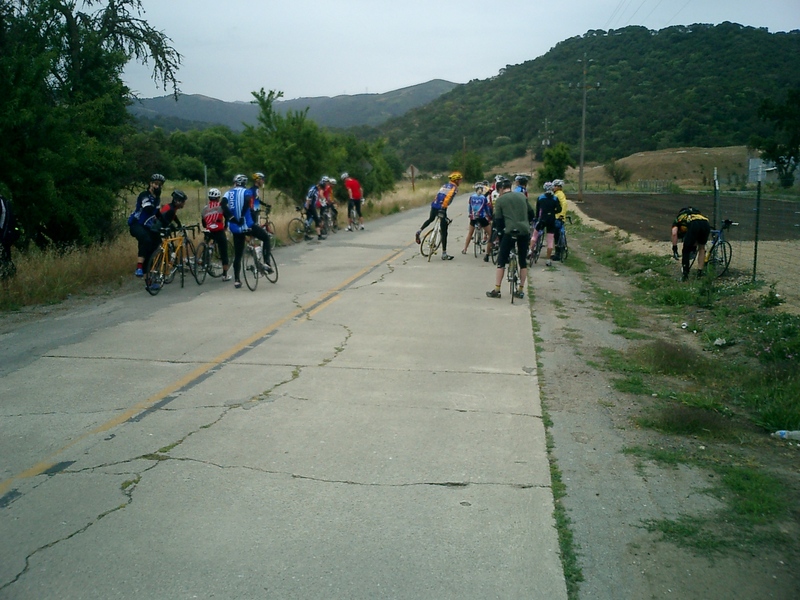 Cyclists gather at the foot of the 10 mile climb to Fremont Peak. It’s a long, hard climb and the higher you get, the colder and wetter it gets. Is this really late May? 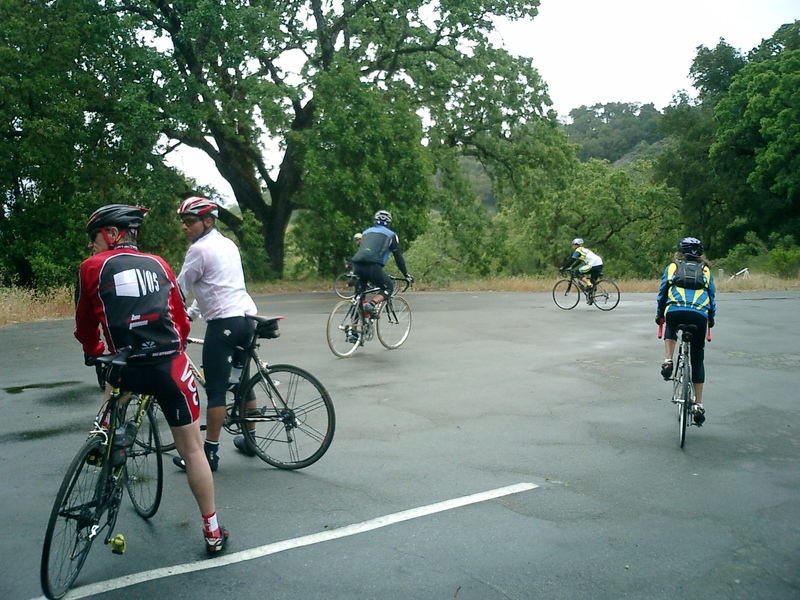 Not a day to linger at the summit: Cyclists take off for a quick descent to the bakery in San Juan Bautista. Almost home: At 107 miles into a hilly ride, the final climb can’t be over soon enough! This entry was posted on Tuesday, May 27th, 2008 at 12:06 pm and is filed under Cycling, Gabilans. You can follow any responses to this entry through the RSS 2.0 feed. You can leave a response, or trackback from your own site. Nice. 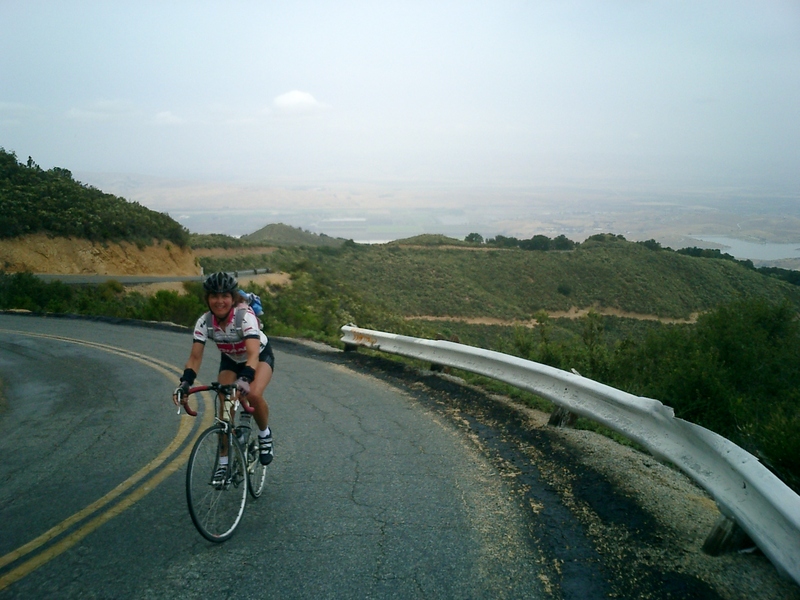 Do you know where I can find a route map or cue sheet for a ride from Monterey to Fremont Peak and back? 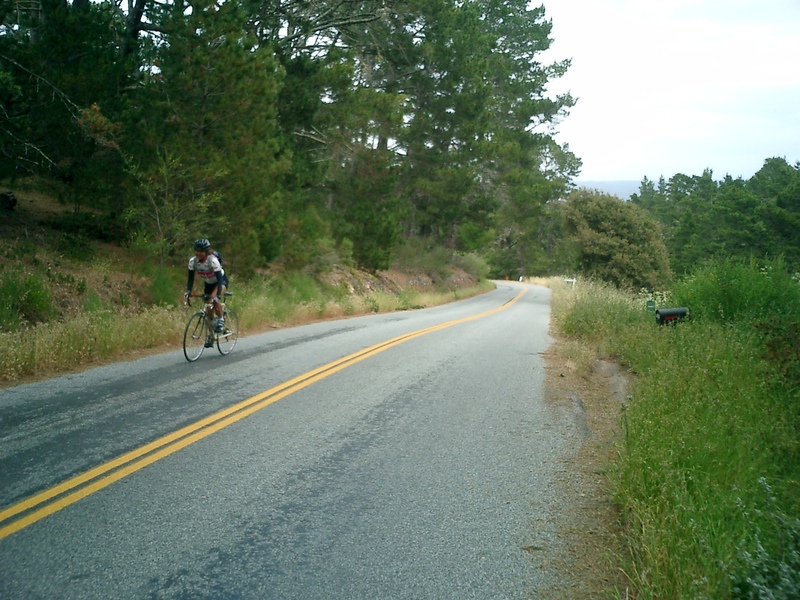 The “traditional” Monterey – Fremont Peak ride, which is almost exactly 100 miles round trip, takes the Bike/Rec trail north from Monterey to its end beyond Marina. Then Del Monte Rd. to Nashua Rd. to Cooper Rd. to Hwy. 183 to San Jon Rd. to Davis Rd. to San Juan Grade Rd. to the 11 mile out and back ride to the top of Fremont Peak. 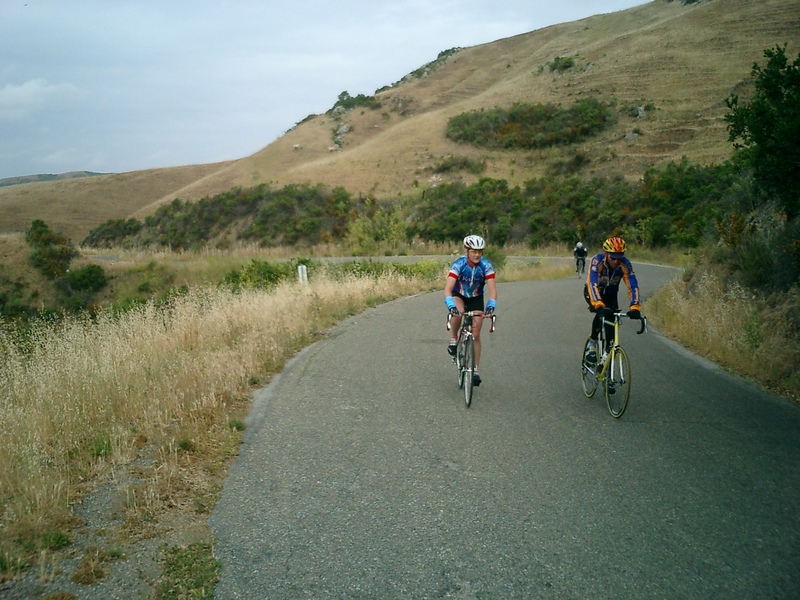 Return through San Juan Bautista to Anzar Rd. to Aromas. Carpenteria Rd. to San Juan Rd. to Tarpey Rd. to San Miguel Canyon Rd. to Castroville Blvd. to Hwy. 156 to Castroville. From Castroville take bike path to Nashua Rd., then home the way you came. Don’t have a cue sheet or route map, but check out a road map and see if this route makes sense to you. Wow, more than I could’ve hoped for. I’m not from the area so this helps much.